Intelligent Computer Solutions Inc. (ICS), a business unit of JMR Electronics and the pioneering leader of disk drive duplication and computer forensic systems, announced today the general availability of their latest forensic offering, the MASSter™ Solo-102 PRO Forensic. 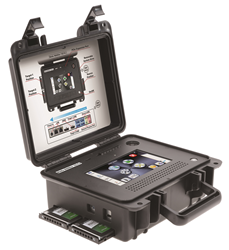 The new MASSter Solo-102 PRO Forensic provides forensic investigators with an economical, high performance and versatile portable data acquisition and duplication system that is ideal for forensic accounting investigation applications. The unit combines a powerful Intel CPU with advanced 6 Gb/s SATA-3 controller technology to handle today's most demanding forensic acquisition and analysis tasks, while providing the hardware necessary to take advantage of future hard drive speed improvements. The cable-free source and target slide-out drive caddy based system can acquire data in LinuxDD, E01 or EX01 Segmented File Format or as a "mirror" capture from one "Suspect" to multiple "Evidence" drives at speeds over 20 GB/min for SATA devices, and 70GB/min for NVMe drives. 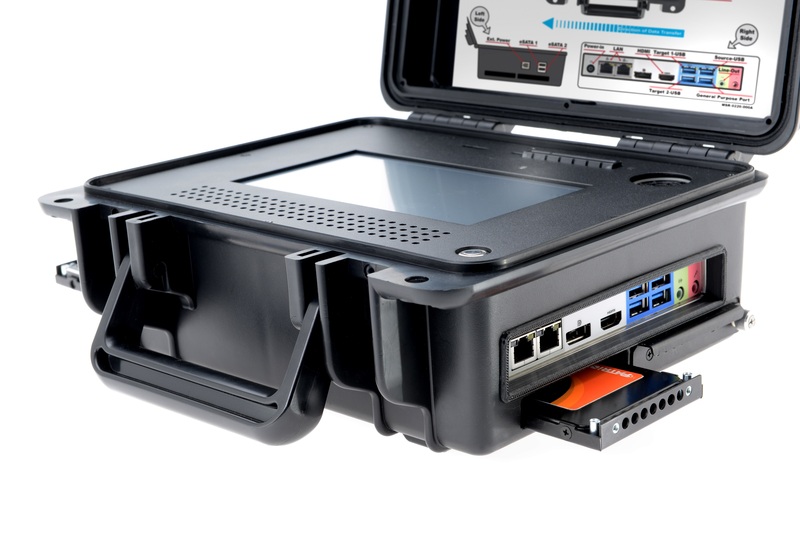 The Media MASSter™ Solo102 PRO Forensic offers native support for three SATA, two eSATA and four USB 3.0 drives with optional adapters being available to support M.2, SAS, IDE, and Micro SATA drives including 2.5" and 1.8" IDE notebook drives and flash media. This "Mixed Drive Interface" support affords easy acquisition of data between different drive interface types. To safeguard digital evidence, all "Suspect" drive ports are permanently write protected to prevent altering "Suspect" drive data and the write protect properties of the "Suspect" ports cannot be disabled. The Media MASSter™ Solo102 PRO Forensic also features a unique M.2 Adapter Module that provides two 4-lane PCIe expansion ports to support data acquisition from one PCIe M.2 storage device to another at speeds up to 70 GB/Min. The unit's M.2 Adapter Module supports varying M.2 form factor lengths of 30, 42, 60, 80 and 110 mm and is designed for easy and safe insertion and release of M.2 storage devices. Additionally, the unit is confirgured with two 1Gb/s Ethernet ports for network acquisition and image management, an HDMI display port for external monitoring and remote access port to control multiple units. The MASSter Solo-102 PRO Forensic is economically priced at $1,995. ICS is a pioneering leader of disk drive duplication and computer forensic solutions. Since 1990, their patented automatic hard drive formatting and software pre-loading solutions have become the de-facto standard for most PC manufacturers and system integrators. Additionally, ICS is a globally recognized leader and supplier of computer forensic systems for law enforcement personnel ranging from local police departments to Federal and International agencies. Today, government agencies worldwide consistently use and depend on ICS's products. For further information, please visit http://www.ics-iq.com, or call 818-993-4801. JMR is a leading value provider and systems integrator of scalable storage systems for high performance and capacity driven applications for multiple markets including; video and post-production, military and government, education, VOD, DCC, gaming, security, medical imaging, HPC, and Web 2.0. Since 1982, JMR's reliable and innovative RAID systems are proudly made in the U.S.A., manufactured entirely from their Chatsworth, California facilities. JMR's complete line of affordable Lightning™ storage products; SilverStor™ SMB focused products, and BlueStor™ Cloud-ready rackmount and desktop solutions are built to handle the most demanding project needs for A/V centric markets. Reliability. Innovation. Performance. This is JMR. For further information, please visit http://www.jmr.com, contact sales (at) jmr.com, or call 818-993-4801.